Solander Gallery (Wellington) specialises in contemporary 'works on paper'. 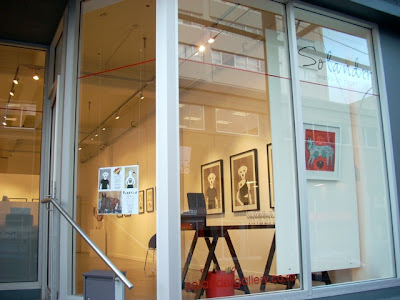 including etchings, screenprints, woodcuts and mezzotints. 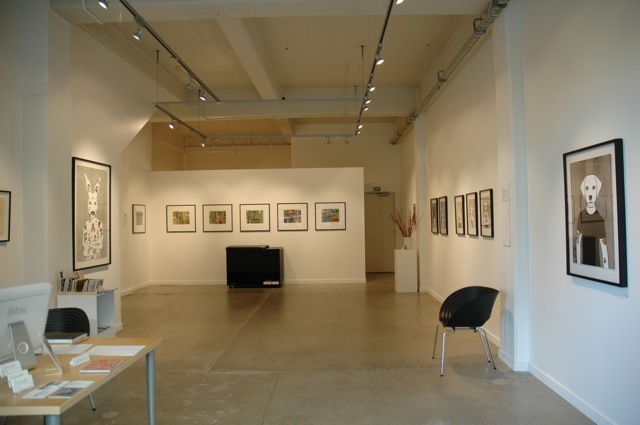 we hold regular feature exhibitions and have an extensive selection of works on permanent folio display. for people interested in learning more about printmaking and works on paper. Printmaking has always been the primary focus of the gallery. by being practicing printmaking artists ourselves. We are excited by the rich visual language of printmaking mediums. all bring a unique energy and authenticity to prints that cannot easily be reproduced in other visual art forms. and the level of skill required to realise these ideas through the print medium. Solander's exhibition programme is planned 12 months in advance. We seek proposals from artists that we feel have been committed to developing a body of new work. and also the distribution of emerging and more established artists through the programme. We are regularly approached by emerging artists, and some are unprepared for their presentations. Make sure the style of work you are presenting is an appropriate fit to the gallery you are approaching. Images should be good quality photography, and be provided as jpeg format with image resolution of about 0.5megabyte (approx 500kb). Artist CV’s should be well written, with only arts relevant information included. Chronological dates should have most recent dates at the top of the list. An artist statement is a very important tool to broadly explain the works and your influences as an artist. This should be a maximum of about 2-3 paragraphs. Make sure you follow up with a phone call to the gallery after making initial contact. A knock-back now does not mean a knock-back forever and we would encourage you to make contact again if you have completed a new body of work. as well as upcoming exhibitions and workshops.